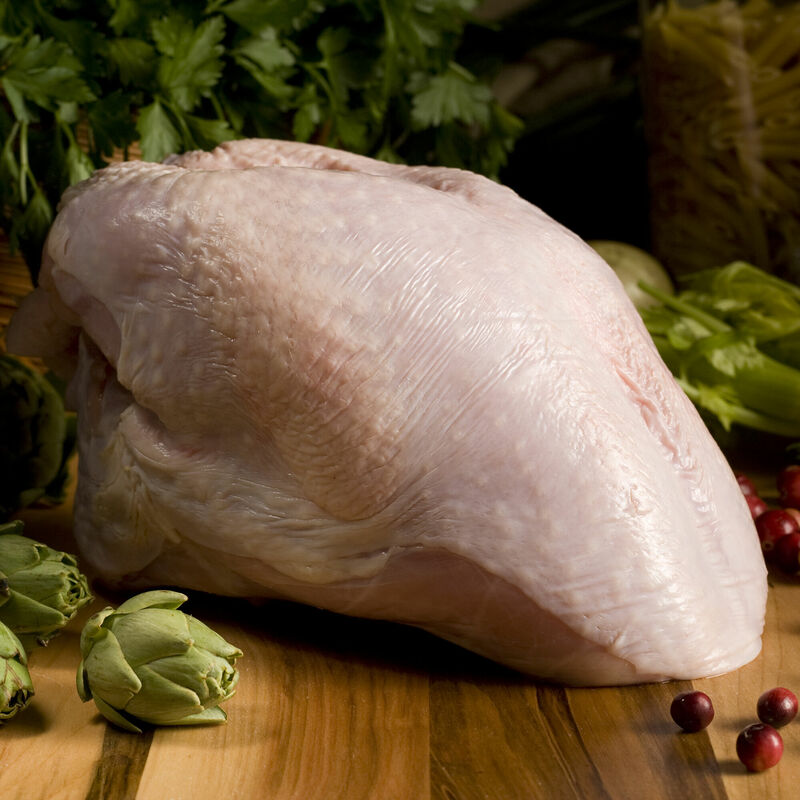 All-natural, bone-in turkey breast from turkeys never administered antibiotics or hormones and grown out slowly. The vegetarian and gluten-free feed consists of locally-grown corn and roasted soybeans which are ground on the farm and enhanced with vitamins and minerals. The White Broad-breasted breed turkeys are raised on a small Amish and Mennonite farms in Pennsylvania. The result is a delightfully tender, moist turkey with superb taste. Turkey breast offers a simple solution for smaller gatherings or those white-meat-only tastes. *Servings based on 1 pound per person.